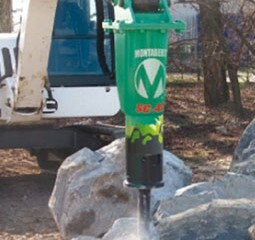 We proudly distribute a range of Montabert rock breakers, including our hydraulic SC line. 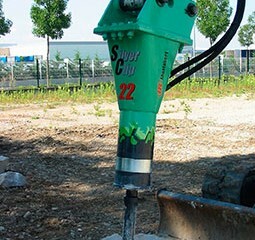 We specialise in the sale, distribution, hire, service and training of these powerful heavy machinery attachments. Montabert Silver Clip rock breakers are designed for use on skid-steer loaders, backhoe loaders, and mini and mid-size excavators. 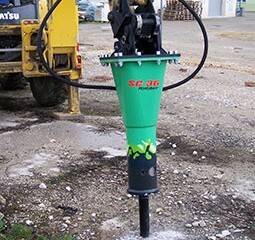 The SC Series provides the versatility and productivity to accomplish multiple tasks with a single carrier, a single operator, and a single attachment. 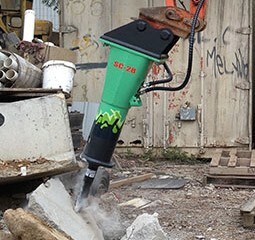 The SC Series is designed to get the job done. 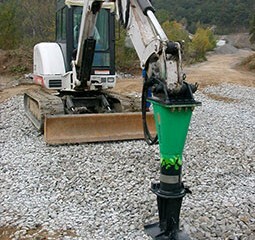 So, you can choose between a Clip Ram (compaction plate) and a Clip Bucket, both of which are easily fitted to the rock breaker without having to modify any hydraulic connection or part. 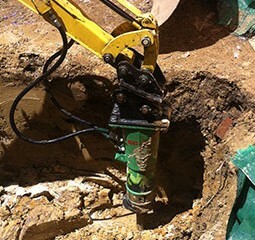 bushing, pins, and tools can easily be replaced in the field without removing the breaker from the carrier. Limited noise on job site due to fully enclosed soundproof cradle that reduces vibrations transferred to the carrier. Light weight, heavy-duty housing protects working parts and hoses. Tolerate high back pressures to allow connection to a wide range of carriers. Energy chamber acts as hydraulic shock absorber and reduces pressure variations in the hydraulic circuits to provide consistent energy to the breaker. 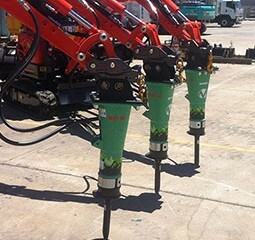 Attachments Australia is here to provide you with all of the hydraulic machinery attachments you need to get the job done, including Montabert Silver Clip Rock Breakers. 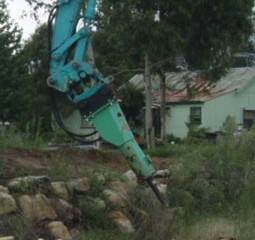 Call us today in Sydney for a quote on 02 9622 9930.